What is It Like Living In Thailand. People ask, what is it like living in Thailand? I tell them, I am not a wealthy person, but, in Chiang Mai, Thailand I can enjoy the food that I prefer and I get smiled at day after day. I can also afford the little nick-knacks that make life easy and more enjoyable, like a car, good Internet and cheap rent when needed. 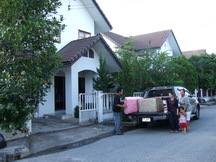 At present I am living rent free in a house that I have been building for a Thai family. 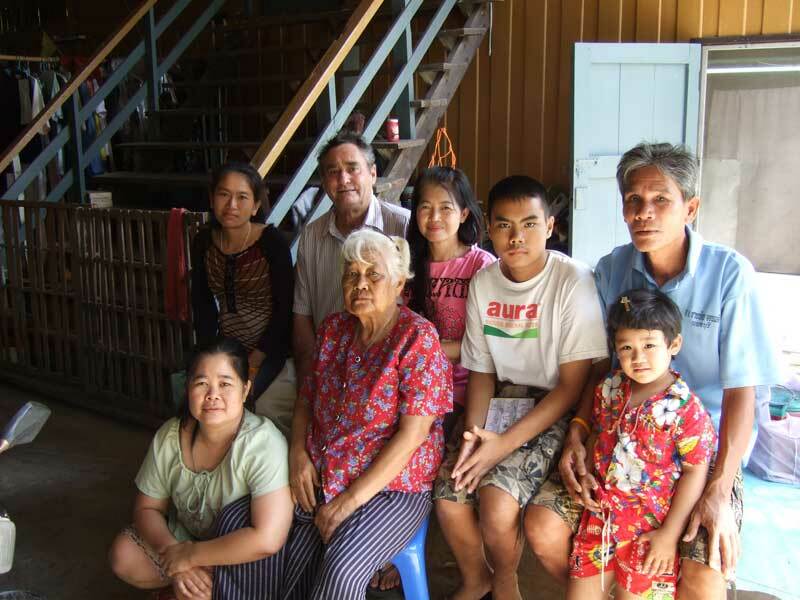 There are many foreigners living in Thailand, Australians, North Americans, Canadians, English, Russians, French, Dutch, Germans and many more of not so obvious nationalities. It can be great living in Thailand on the Australian old age pension. I am a 75 year old Australian enjoying Thailand for at least 6 months of each year. Any old age pensioner who does not have a drinking habit, or any other similar habit, can live very well in Thailand and be respected and treated like a person who is worthy of having many friendships. It is because you have money but it also is because the people of Thailand are generally lovely friendly people who enjoy pleasing others. 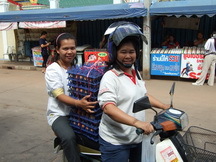 Any act of kindness or generosity towards a Thai person will be rewarded with smiles and genuine thanks. People are polite and young people show respect for the older people. I have not seen anything that could be called vandalism in Thailand, road rage, abusive behavior or loud mouthing does not seem to exist. ( different – in Australia, every time I go shopping I feel like choking some idiot or kid ). There are some grumpy Thais but not many. 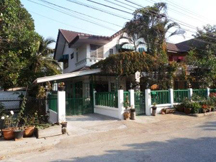 I do not go to bars or do anything that does not involve village life and normal day to day living, therefore I can live very well on my old age pension in Chiang Mai, and that includes regular airfares back to OZ – about every 3 to 6 months. For several years I lived here on just my old age pension. Now after realizing I wanted to spend more time here, my home has been left under the control of my children in Australia and I receive a reasonable rent. The family who now look after me cook most of my meals, I don’t eat Thai food often but do prefer my own Australian type of food. The 7.11 shops have fresh takeaways, plus there are endless roadside food stalls with fresh sliced fruit, cooked fish, pork and chicken. 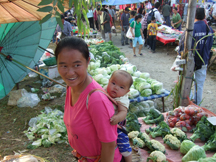 Fresh vegetables are from local gardens and available from markets and roadside stalls. When you get to know the locals you find bargains – lately I’m enjoying large paw paws at 40 cents each. The village markets supply beautiful fruit in season at very low prices. I have bought things like computer, printer, power tools, clothes, cheap car, motorbike, and some furniture. Another new 2 bedroom cabin cost me half that. To build a home cost AU$80,000 and a similar home in OZ might cost five times that price. The electricity bill is about $45 per month max. The price of fruit varies with the seasons. Pawpaw big – 40 cents – $1. Pork – $4 per kilo. Milk – expensive – $1 liter. Meals – from $1. Computer programs – $5 ( some worth $500 lol ). Petrol – about $1.40 per liter. (you do not drive far). Water – 60 cents a bottle or 5 cents bulk. Set of clothes – from $20. Catch a bus to the city and back – $1. New chain and sprockets for motorbike – $15 includes labor. Car 1 year rego and tune up $60 (included new slave cylinder fitted) same thing in OZ about $700. Expensive items are imported goods and dairy products, chocolate, cheese, milk, biscuits, etc. Beef is expensive but chicken, pork and fish are not expensive. Fruit and vegetables are readily available from supermarket or markets, very cheap and are good quality. Medicine is usually available from a pharmacy without a prescription but if the person serving does not think you need it, they will not sell it to you. Pharmacists are trained and hold a position similar to a doctor. Syringes are not for sale over the counter and a diabetic must make whatever arrangements, I don’t know what happens there. Will I Get Robbed? – YES! If you leave your money around someone will steal it. Exactly the same as in Australia, but in Thailand there are four times as many people in any one place. So if you are careful you will not get robbed. If you hang around sleazy bars or act in an unpleasant manner, you have a good chance of being robbed. The time change can play tricks to a traveler and you might find yourself very sleepy, that is when you lose your wallet etc. A pocket sewn inside your shirt is a good idea, sew it behind the normal top pocket, just big enough for your passport and bank notes. Most Thai taxi drivers are honest, but they are sometimes a bit slow getting your change out of their pocket, possibly hoping you might think there is no change, the same goes for a lot of shop keepers. The transaction is very fast but the change is slow. Often the amount involved is a few cents. One little thing to be watched is the 500 baht note, it looks a lot like the 50 baht note. Also the 1000 baht note looks like a 100 baht note, the government may have done this on purpose. LOL They do like to encourage leaving your money in Thailand. Look in the shops and shopping centers where the prices are displayed. 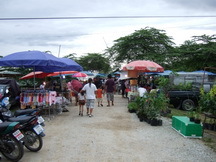 Then you have an idea of prices before you go to the markets, prices are not always displayed at the markets. A daily wage for a laborer is from 300 to 500 baht about $12 to $20, so tips of 20 baht are much appreciated. A professional person can ask their price and sometimes prices are high. 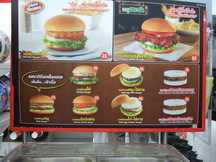 ( Having legal papers translated or witnessed by a Thai official might cost $35 ). The markets are everywhere and the food and goods are clean and all goods are new. The super markets are very modern. They are sometimes huge with some staff on roller skates, the products are more expensive than the markets but they do have specials. The hardware stores are also huge and the products cheap compared to Miter 10 in Australia. The big shopping centers are huge, clean (spotless) and have every type of shop, some have expensive cars on sale at the lower floors. The people are extra nice and polite. I have never seen a drunk in public or a loud mouth Thai. Now and then there is a wobbly driver, the police are strict about drunken driving. There is no vandalism, statues and art remains untouched. The streets are clean but sometimes the smells of drains or cooking is a bit much. 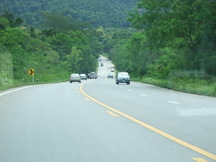 If you are not a Thai citizen there are rules as to how long you can stay in the country. These rules vary according to the type of visa you have. If you live near a border you simply go across the border and back again every 2 weeks or in some cases every 6 or 12 weeks. I believe some of these rules are to make sure you are still alive and that someone else is not claiming your pension. 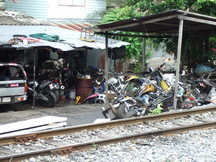 There are possibly many people living in Thailand who do not leave as they should, this would make an exit hard and may bring a maximum fine of about $600. In Thailand there are public toilets at most places of importance. Most are clean. There is often no paper supplied but may be bought from a nearby stall. 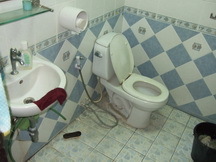 Thai people do not use toilet paper, in toilets there is a special little hose with squirting nozzle or a water container with a scoop for washing. After a bit of practice this is a far superior method of staying clean and it does not block up the sewers with paper. Because of the climate a slightly wet bottom is not a problem, seems to dry instantly. Often there is a bin to put used paper as it is not common practice to put paper down the toilet. There are 2 types of toilets, the hole in the floor and the common ‘throne’. People ask about the Toilets in Thailand. One of each type in train carriages, many of each in business houses and shopping centers etc. The toilets at shopping centers, business houses, bus stations, airports are clean and most are absolutely spotless with fresh flowers and a full time attendant. All toilets have privacy doors, hand basins, mirror and security persons nearby, not security just for toilets, there are security persons everywhere just to help any person needing help, checking that stock is not being stolen, directing traffic and there is a lot of security persons because everyone in Thailand needs a job. Thailand is not a third world country. The people are healthy and happy; the streets are full of new vehicles owned by ordinary Thai people. If a person is hungry or sick there is a temple nearby and the Monks are willing to help those in need, including animals. The wealthy and most other people support the Monks without question. The poorer people live simple lives and enjoy there day to day activities; there is a system of sharing anything you have abundance of. (They do not destroy surplus so as to keep the price up). 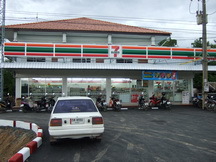 I saw out of date cooking oil selling for 5 baht per liter – about 20 cents – could be used for truck fuel. Many rusty tin shed dwellings have a new pickup truck parked outside and a huge television antenna on the roof. The girls who do work in the bars etc. spend most of their day laughing with their friends and partying with tourists, the same as most teenagers would like to do but the bar girls do it for a living, they are not looked down upon (Except by some westerners), they often support a large family or put themselves through university. If you have never been to Thailand and wish to visit let me know any worries you may have and I might be able to help.